Peek-a-Bunny: An Easter Tradition. The business has since expanded to help other authors self-publish their own work. We help connect authors with the right resources to ensure that their book profits end up in their own pocket! 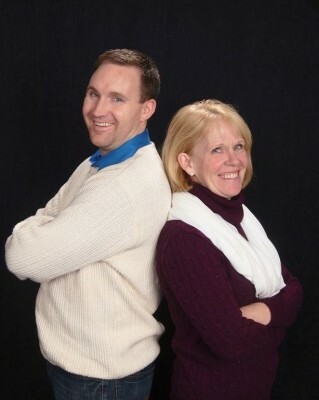 Linda and Scott Maloney are a mother son duo from Plainville, Massachusetts. They come from a close knit family and writing a book was their way to get some closure after Scott suffered a Traumatic Brain Injury in 2004. ​Kristin McCabe was born and raised in Wrentham, Massachusetts. She holds a Master's Degree in Elementary Education from Bridgewater State University and an Undergraduate Degree in English from the University of New Hampshire. 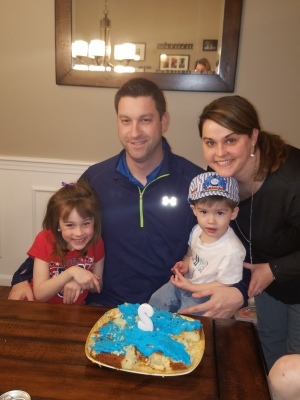 In 2009, Kristin married her highschool sweetheart Mike McCabe and they have since settled down in Plainville, Massachusetts with their two children Mackenzie and Cameron. Kristin loves spending time with both her immediate and extended family and loves family traditions even more. Creating Peek-a-Bunny: An Easter Tradition and starting a new family tradition was the perfect way to make Easter that much more special for her and her family! Andy Klein was born in New York and raised in southern California. He graduated from San Diego State University, and, after attaining his master's degree in psychology, spent the next fifteen years traveling around the world. He taught children in Japan and Taiwan as well as here, in the states. Inspired by his youngest son, he has begun to write a series of children's books. He now lives with his family north of Atlanta.